Who is he? Howells? Howells was, perhaps, in his time—but that was before he began to believe it himself. James? James is no more an American than the Sultan of Sulu. Herrick? Chambers? McCutcheon? Hopkinson Smith? Dr. Mitchell? Not one of those heaven kissing heroes of the $1.08 counter. A lady, perhaps? Mrs. Wharton? See James, Henry. Mrs. Atherton? Anna Katherine Green? Mrs. Eddy? Again no. Get a good grip upon the mantel shelf; I am about to name my candidate. He is David Graham Phillips. Laugh as much as you like! Laugh until you are tired—and then read “The Hungry Heart” and “The Husband’s Story” (Appleton, $1.50). You will find in both of these stories, and you will find, too, in other books by Mr. Phillips, though not in all of them, two qualities so rare in contemporary American fiction that the reader of current novels seldom encounters even faint traces of them. One is the quality of earnestness and the other is the quality of intelligence. Mr. Phillips writes as if novel writing were a serious business, demanding preparation, reflection, ardor, skill. He seems to be firmly convinced that the people whose doings he is describing are real human beings, that their overt acts are the effects of deep lying motives and causes, and that it is worthwhile to tunnel down into them and get at those motives and causes. Stranger still, he himself has mental processes. He thinks! Contemplating his characters, he is led to meditate and philosophize upon the internal and external stimuli which make them what they are. And passing from what they are to what they represent, he investigates the general conditions of human existence in the United States, differentiating between things universal and things American, ferreting out national weaknesses and racial diseases, prying into the peculiar customs, vices, superstitions, emotions, traditions and diatheses which separate an American from an Englishman, a Zulu or the bisque hero of a best seller. The man, of course, is an anarchist. Such earnestness is revolutionary, dangerous, insulting, abominable. The purpose of novel writing, as that crime is practised in the United States, is not to interpret life, but to varnish, veil and perfume life—to make it a merry round of automobiling, country clubbing, seduction, money making and honeymooning, with music by Victor Herbert. Novelists succeed among us in proportion as they keep outside the skin. But Mr. Phillips does not bid for success in that way. He boldly ventures upon hazardous psychological laparotomies; he insists upon making indecent cross sections of the American woman; he looks for the roots of ideals, not in the heart, but in the stomach; he orates vociferously all the while he is at work. The first impression he produces is that he is merely a noisy and lawless fellow; the second is that his remarks are interesting but untrue; the third is that there may be some truth in them; the last is that, whether true or false, they are at least worth hearing and heeding, as the conclusions of a man who has approached his task seriously, who has brought to it an excellent technical equipment, and whose efforts to accomplish something worthwhile are sincere, dignified and praiseworthy. This is no place to examine into the validity of Mr. Phillips’s ideas. Whether it is true or not, as he holds in “The Hungry Heart” and “The Husband’s Story,” that the American woman is the chief foe of American civilization, the fact remains that he is entitled to his opinion, that he supports it with vigor and ingenuity, and that the mere possession of an intelligible opinion upon such a subject is sufficient to lift him head and shoulders above ninety nine per cent of his fictioneering rivals. The trouble with the average American novelist is that he has no opinions at all; he never thinks. He can neither create characters nor arrive at thoughts about them. The personages of his fable appear to him, not as human beings moved by impulse, motive, inherited trait and environmental pressure, but as stuffed dummies worked by wires, and so it is as stuffed dummies that they appear to the rest of us. I read novel after novel without encountering a single idea. Therefore, when I happen upon one that is full of ideas, I rejoice and am exceeding glad, and shout the news at the top of my voice. “The Husband’s Story,” as a work of art, is far from perfect. If Mr. Phillips, before sending his manuscript to the printers, had hired me to read it, I should have advised him against elevating the Lorings to such dizzy peaks of social splendor, for thereby he robbed them of a good deal of their value as types. Social climbing is an almost universal vice in the United States. It even prevails among Maryland negroes. But not more than one American in ten millions ever achieves the stupendous ascent of Edna Loring. I should have advised Mr. Phillips, in the second place, against the folly of hurling too many direct insults at the devourers of best sellers, for their money is good and many of them are human. But after favoring him with these warnings, I should have thanked him for the privilege of reading an American novel with fire and frenzy in it and the proofs of an unmistakable talent—and returned his honorarium with the script. The merits so assertively apparent in Mr. Phillips’s story are wanting in “Ailsa Page,” by Robert W. Chambers (Appleton, $1.50), a machine-made tale by a man whose early work makes it impossible for him to plead that he can do no better. The time is that of the Civil War, and all of the characters are drawn into the conflict, but the note of overpowering tragedy, the sense of closeness to great events, the color and clangor of the period—these things are wholly absent. Instead of tragedy we have preposterous melodrama. Instead of veritable human beings we have those ancient marionettes—the stern father, the prodigal redeemed by valor, the erring maiden redeemed by love. There are battle scenes enough and to spare, but not one of them grips the imagination. Altogether, it is a trashy and an irritating story, and scarcely worthy a serious review. 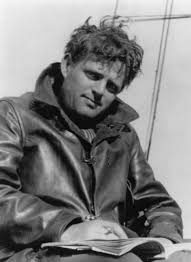 Much better stuff is to be found in “Burning Daylight,” by Jack London (Macmillan, $1.50), the history of a barbarian who wrests millions from the frozen North, comes thundering down to pillage civilization—and then discovers that nothing but degradation is to be got out of such rapines. In the scenes laid in the Klondike Mr. London is at his very best. He knows the country and he knows its people, and he sets both before us with extraordinary vividness. Later on there is a falling off, but the general effect is that of a capital story. Burning Daylight, in brief, is the most lifelike figure in all Mr. London’s gallery of Goths and Huns, and Dede Mason, who leads him up to grace, is quite the most charming woman the author has ever set before us. Now come some belated Christmas books—yet not so belated, for though this is the January number, you will get it a full ten days before Christmas. Let me venture the hope that you will devote ten minutes of that time to buying half a dozen copies of W. J. Locke’s “A Christmas Mystery” (Lane, 75 cents) for your friends. No more genuinely moving and heart searching Christmas tale has ever been written than this little story of the three wise men of England and of what befell them on Christmas morning. Locke was never more fantastic, never more artistic. Another good Christmas story, though greatly different in character, is “On Christmas Day in the Evening,” by Grace S. Richmond (Doubleday Page, 50 cents), which comes in a pretty holly-strewn wrapper. Yet other books suitable to the season are “The Golden Heart,” the annual volume of Ralph Henry Barbour (Lippincott, $1.50), with pictures in color by Clarence F. Underwood; “Let Me Feel Your Pulse,” the last tale of the lamented O. Henry (Doubleday-Page, 50 cents), and “The Flowers” (Harper’s, 75 cents), a pretty little story by Margarita Spalding Gerry, with exquisite drawings in color by Elizabeth Shippen Green. “These pages have no other general purpose than to point out that we cannot create anything good until we have conceived it.” Thus the eternally diverting but never converting Gilbert K. Chesterton lays down the thesis of his latest volume of philippics and exhortations, which appears between covers of a sullen, venous red and under the characteristically modest title of “What’s Wrong with the World” (Dodd-Mead, $1.50). That thesis is a platitude so all-fired platitudinous that it stings the roof of the mouth, but even so excessively platitudinous a platitude, as Mr. Chesterton himself somewhere admits, is often quite true. So with this one. Its truth is as obvious as the rotundity of Mr. Taft. Therefore, why rage and roar over it—to the extent of nearly four hundred pages? Suppose it to be a fact that our system of education is getting us nowhere—what of it? Maybe most of us are happy where we are! Suppose it to be a fact that our 174 warring sects are getting precious few of us into Heaven—who cares? Isn’t it a fact that nine-tenths of us, like the melancholy shades in “Man and Superman,” prefer Hell? Mr. Chesterton, in brief, is quite right in his diagnosis, but he makes the tremendous error of regarding native cussedness as a curable disease. As a matter of fact, we blunder along, barking our shins at every step and walking straight into every tree, not because we need quinine, but because that is the happy-go-lucky human way. If it were not for the fun of watching the other fellow gouge out his eyes and break his neck, we might stop to lament our own lacerations. As it is, we hail life as the greatest of adventures and accept without protest the trivial fact that it is meaningless. Imagine it as the orderly and tedious march Mr. Chesterton would make it, with all hands trooping up the celestial gangplank in a lockstep, forbidden to laugh, swear or eat peanuts—sweet symbols of dissolute irresponsibility—and clubbed into line by ecclesiastics on muleback! What man worthy the name would care to live? Let us alone, O Fat Mullah! Take back your golden fiddles! We are happy in our wallow. We are even beginning to produce a literature exalting its charms. You will find the germs of that literature in certain of the writings of Samuel L. Clemens, and particularly in that scene of “Huckleberry Finn” wherein Huck wrestles with his conscience. Now comes its full flower in “Lord Alistair’s Rebellion,” by Allen Upward (Kennerley, $1.50). Lord Alistair Stuart sickens of morality. Righteousness gets on his nerves. He sees its inherent insincerity, its eternal folly. Duty and destiny, right and wrong, sacrament and sacrilege, moral and immoral become, in his sight, mere shadows of shadows. As Lord Alistair, a younger son and in consequence a person of no importance, he can afford to rail at the sacred images, but when fate makes him Duke of Trent he can only flee England, “with her shopkeeper’s conscience, where art is a sin and generosity a crime.” “When we find a nation of swindlers,” he says sadly, “ bent upon putting down polygamy in Utah, and a nation of pirates objecting to child marriage in Hindustan, we are clearly face to face with some form of insanity. And it is becoming more difficult every day to escape out of the power of the maniacs.” But, having plenty of money, he actually makes that escape. His refuge is a tiny island in one of the more remote Swiss lakes, and there he founds a hospital for those who have sprained their souls trying to live according to the preposterous and impossible rules that moralists, lawmakers, prophets, theologians and other such donkeys lay down. A clever book by a clever fellow. “The Science of Poetry,” by Hudson Maxim, is a formidable quarto volume, weighing perhaps two pounds, in which the inventor of maximite, stabilise, motorite and other lethal powders discourses earnestly and at great length upon the manufacture of epics and elegies. The investigations of Mr. Maxim, it appears, have led him to the theory that the practice of that craft is a far less arduous and recondite matter than the hot panting of poets has hitherto caused us to regard it. Any intelligent man, by observing the author’s rules of potentry, tempotentry, tropetry, trotem-potentry and applied tro-potentry, should be able to turn out a pretty fair grade of strophes. Mr. Maxim seeks to prove it by printing some of his own confections, fashioned in accordance with his formula. They are, it must be confessed, fearful and wonderful things—especially his revised versions of Hamlet’s soliloquy and of parts of “Paradise Lost”—and so, at first glance, they may seem to reduce his system of poetizing to an absurdity, but one suddenly reflects that their atrociousness may be due, after all, to some other element, external to the system itself—to a stupid stenographer, for example, or a heavy dinner. In analysis Mr. Maxim is rather more happy than in synthesis. His central critical theory is summed up in this definition: “Poetry is the expression of insensuous thought in sensuous terms by artistic trope.” By this he means that “abstract and intangible things lying outside experience are embodied by the imagination in the forms of concrete, tangible things lying within experience and endowed with their properties and attributes.” The poet, in other words, deals in metaphors and images, in materializations and transmogrifications. It is his business to seek out the arresting figure, the vivid epithet, the memorable phrase. He condenses the vague steam of meditation and imagination into clear running drops. He brings the glory of the heavens, the vastness of love, the meaning of life within the limits of our narrow comprehension. He is, in a word, a master interpreter. A sound enough theory, of course, but not a noticeably new one. As Mr. Maxim says himself, Shakespeare was aware of it and actually set it down. The addition of trotem-potentry, tropetry and other such hideous inventions gives it no new force. All that is worth reading in Mr. Maxim’s huge book might have been printed upon six or eight of its pages (Funk-Wagnalls, $3.50). The name of “My Mark Twain,” by William Dean Howells (Harper’s, $1.40), is well chosen, for the book is less a record of events than an attempt at a personal interpretation. The Mark Twain that we see in it is a Mark Twain whose gaunt Himalayan outlines are discerned but hazily through a pink fog of Howells. There is an evident effort to palliate, to tone down, to apologize. The poor fellow, of course, was charming, and there was a lot of merit in some of the things he wrote—but what a weakness he had for thinking aloud! What oaths in his speech! What awful cigars he smoked! How barbarous his contempt for the strict sonata form! It seems incredible, indeed, that two men so unlike as Clemens and Howells should have found common material for a friendship lasting forty-four years. The one derived from Rabelais, Chaucer, the Elizabethans and Benvenuto Cellini—buccaneers of the literary high seas, loud laughers, law breakers, giants of an elder day; the other came down from Jane Austen, Washington Irving and Hannah More. The one wrote English as Michelangelo hacked marble, broadly, brutally, magnificently; the other was a maker of pretty waxen groups. The one was utterly unconscious of the means whereby he achieved his staggering effects; the other was the most toilsome, fastidious and self-conscious of craftsmen. Read the book. It will amuse you; better still, it will instruct you. If you get nothing else out of it, you will at least get some notion of the abysmal difference between the straightforward, clangorous English of Clemens and the simpering, coquettish, overcorseted English of the later Howells. Here are two books which lay bare some of the darkest secrets of the world. The first is “The Lure of the Antique,” by Walter A. Dyer (Century Co., $2.40), and the other is “Magicians’ Tricks and How They Are Done,” by Henry Hatton and Adrian Plate (Century Co., $1.60). Mr. Dyer is full of distressing news about the discoveries of bogus antique manufacturers—distressing because most of us, on examining our treasures with his book in hand, will have to admit that we have more than once played the victim. He explains how new oak is turned into old oak with permanganate of potash and ammonia; how buyers of pewter mistake design marks for date marks; how rickety furniture worth less than nothing is converted into ancient furniture worth its weight in mushrooms. But the book is more than a mere broad side against chicanery. It is a little en cyclopedia of information about those antiques which are really antique—old clocks, old plate and old lusterware, Heppelwaite sideboards and Sheraton writing desks, Wedgwood basalt and blue Staffordshire, Adam four-posters and Chippendale looking glasses—and there are scores of excellent illustrations, chiefly from photographs. The book of magicians’ tricks is of like comprehensiveness and authority. It shows exactly how the miracle of making the queen of hearts jump from a deck is performed, exactly how the professor gets a rabbit out of your plug hat, exactly how the Egyptian princess worms her way into the corded steamer trunk. Plenty of books for the kids! Here are half a dozen good ones. The first is another Uncle Remus book—and no doubt the last that we shall ever see. It is called “Uncle Remus and the Little Boy” (Small-Maynard, $1.00), and contains thirteen ballads and tales. The volume is printed in large, bold type upon thick paper and has plenty of good pictures and a cover in full color. Next come two books of adventure for boys of from twelve to sixteen—“The Horseman of the Plains,” by Joseph A. Altsheler (Macmillan, $1.50), and “Two Boys in the Tropics,” by Elisa Haldeman Figyelmessy (Macmillan, $1.35). Mr. Altsheler’s story has a boy scout for its hero and deals with hunting, exploring and Indian fighting on the frontier in the tumultuous days following the Civil War; Mrs. Figyelmessy’s has the Spanish Main for its scene and concerns itself with natural history rather than with bloodletting. Both books are well written and should interest every boy with the spirit of adventure in him. Then there is “A Dixie Rose,” a story for girls by Augusta Kortrecht (Lippincott, $1.50). I hesitate to express an opinion about a story for girls, but this one seems very charming, and at any rate, I can make oath that the design of its cover is of quite remarkable beauty. Finally, there are two excellent reprints of juvenile favorites, “Mopsa the Fairy,” by Jean Ingelow, and “Bimi: Stories for Children,” by Louisa de la Rame” (Ouida) (Lippincott, $1.50), each with pictures in full color. A celebrated cartoonist’s chronicles of his boyhood in a little town, with drawings by the author. (Sherman-French, $1.00) Very tedious doggerel. “Adamant, n. A very hard word. See father.” Thus Mr. Herford maketh his jokes, some of them very good ones and the rest good enough. Mr. Clay’s drawings are full of spirit. A plea for the organization of a gigantic holding company, to take over all the corporations in the world. Three more of Mr. Butler’s diverting farces, in a neat little volume. No other discourse upon Whistler that I have seen gives a more lifelike picture of the man or a clearer account of his artistic ideals and accomplishments. Three score full page reproductions of his paintings and etchings add to its value. Sword play, love making, the open road; colored pictures, decorated borders; a Christmas book. An exhaustive treatise, with eight photos in color.